Caution: may contain glitter, Doctor Who, and finger paint. Blogger of beauty, geek, and stuff. 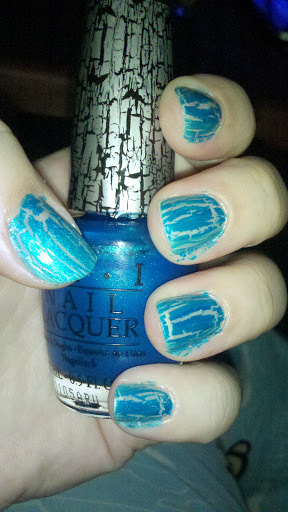 Who has two thumbs, can't paint inside the lines, and found a bottle of Turquoise Shatter at Ulta? This faerie!! I used Butter London Hen Party as a base color and OPI Top Coat. Copyright Geek Faerie 2010-2011. Please do not reprint without permission. Ethereal theme. Powered by Blogger.